Planning and zoning officials are concerned about whether a two-way driveway on the west side of the proposed post office building at 18-26 Locust Ave. will result in a congested lot and potential safety and liability issues for the town, they said Monday night. The concerns were raised at a special meeting at the Lapham Center, where the Planning & Zoning Commission discussed issues surrounding the proposed post office plans. The body also moved unanimously to amend the zoning map to allow 3,000 square feet from an adjacent lot on Forest Street to be used in the project for more parking, and to lift restrictions on floor area limits for the site to allow a larger than normal building. "It is one issue whether it is going to be done better and another to know whether there is a safety problem," commission member Dan Radman said. "What is the town's liability if somebody gets hurt and we didn't consider if there were safety issues." If the concerns are addressed, the commission plans to take up the underlying site plan application next week as the developer attempts to negotiate a lease with the postal service and other details to make the deal work. "Our challenge here is we're responsible for approving an application that meets adequate standards for circulation and our town planner has already said this is not an ideal solution for a post office," Zoning Commission chairman John Goodwin said. "My concern for us is to approve a site plan and we need some sense that it is acceptable in terms of circulation." Town Planner Steve Kleppin and planning officials said the proposal for a two-way entrance of Locust Avenue on the west side of the building could result in drivers becoming blocked in as they maneuver in the lot and cause safety problems for pedestrians walking through the lot to the post office. "Imagine two weeks before Christmas and you have three people from the east and the west come into the lot," Radman said. "Who is going to back up and who is going to move around? I can see tempers flaring." The owner of 18 Locust Ave. and developer of the property Richard Carratu and his attorney Michael Sweeney told the commission the circulation pattern was dictated by postal officials who believe a single exit and entrance would result in greater tie-ups in the lot. Carratu agreed at the meeting to pay the fees for the town to hire an outside traffic consultant to review the plan in time for next week's meeting and to try to negotiate any changes to the circulation pattern zoning officials might believe necessary. Sweeney said postal officials were fairly adamant about aspects of their facilities, such as traffic circulation, based on their own analysis of what works at facilities nationwide. "They take a fairly strident position in terms of how their sites operate," Sweeney said. "To be fair to them, they have post offices around the country, and at some point they develop their notion of the way it works, and the way they want it to work, whether we think it is the best thing or not." 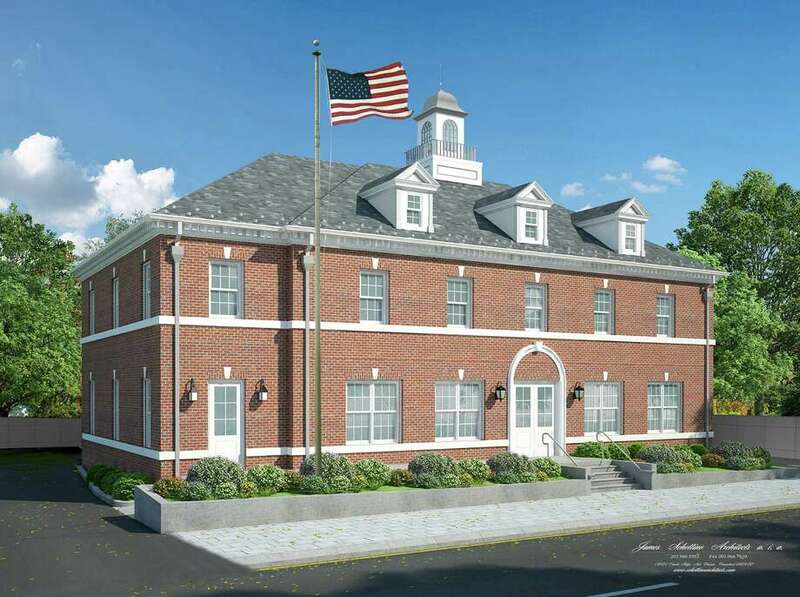 Carratu has proposed a two-story, Federal style brick building with 8,200 square feet with the post office on the first floor and office space on the second floor. About half of the 27 spaces on the current site would be reserved for post office customers, according to the plan. The site was chosen in February more than a year after the post office left its home of more than 50 years on Park Street. It has been operating on a temporary basis out of a storefront at 90 Main St. since then. The Planning & Zoning Commission will take up the post office site application at 7 p.m. May 26 at the New Canaan Nature Center on 144 Oenoke Ridge.